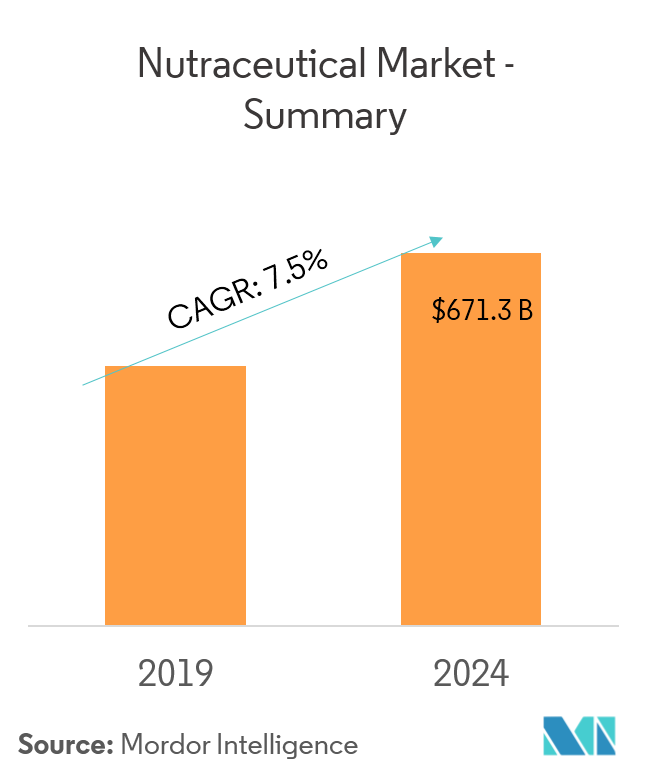 The nutraceuticals market is predicted to record a revenue of USD 671.30 billion by 2024, registering a CAGR of 7.5% during the forecast period (2019 - 2024). Globally, nutraceuticals are gaining importance and are becoming a part of consumer’s daily diet. The major reasons for this change have been the increasing prevalence of lifestyle diseases and people consciously taking preventive healthcare measures. Developed markets, like the United States and Europe, are discovering the untapped segment of customized products based on health claims. Functional food is the largest share holding category of the studied market, followed by functional beverage and dietary supplement. 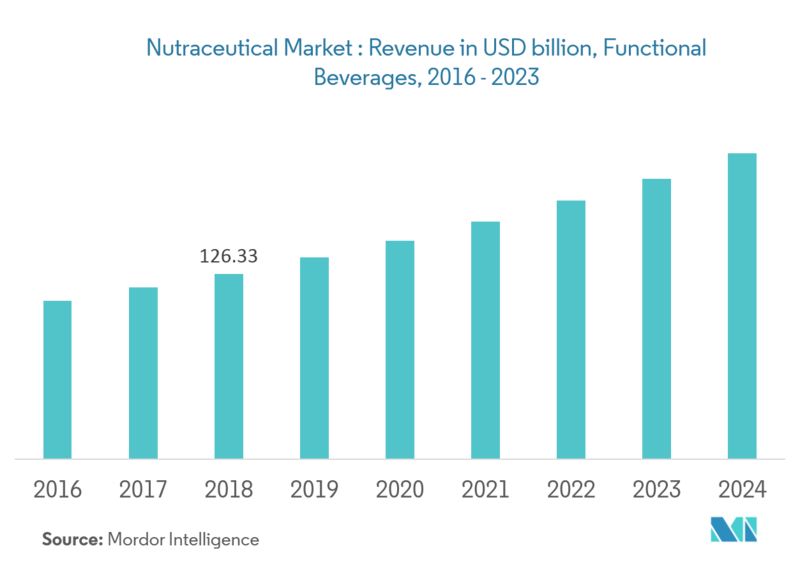 The nutraceutical market is segmented into functional food, functional beverage, and dietary supplement. The functional food segment is futher categorised as cereal, bakery and confectionery, dairy, snacks, and other functional foods. The other functional foods category includes functional fats and oils, meat, and baby food. Functional beverages is sub-segmented as energy drinks, sports drinks, fortified juice, dairy and dairy alternative beverages, and other functional beverages. The other functional beverages include RTD tea, coffee, and enhanced water. Dietary Supplements are categorized as vitamins, minerals, botanicals, enzymes, fatty acids, proteins, and other dietary supplements. The other dieatry supplements include probiotics, prebiotics, flavonoids, flavones, carotenoids, beta carotene, etc. Developing countries have a higher prevalence of non-communicable diseases (NCDs), like cancer, diabetes, cardiovascular ailments, and lung disorders. Therefore, the demand for nutraceuticals is expected to rise in these nations. 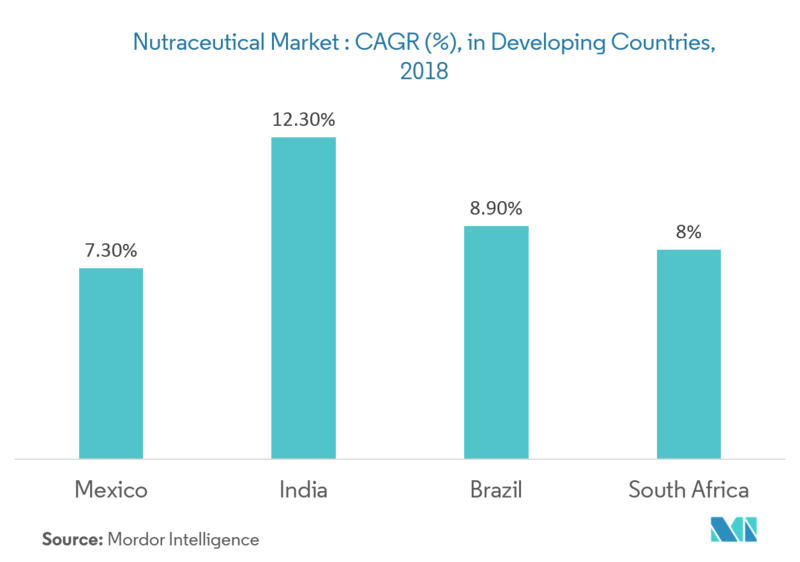 The gradually increasing healthcare expenditure will also augment the demand for nutraceuticals across emerging nations. Nutraceuticals can be an opportunity for economic growth for many developing countries endowed with rich biodiversity and traditional knowledge of the health effects of certain indigenous plant species. The market records plenty of opportunities from within the emerging markets, not just in China and Brazil, but in other Asia-Pacific and South American countries as well. In order to succeed, key players need to emphasize more on product research activities focusing on local consumers, thererby differentiating themselves from their competitors..
Functional beverages improve hydration, prevent and help to address health conditions, aid athletic performance, and contribute to the nutritional well-being. Over the years, FF (fortified and functional) beverages have become specific and are tailored according to the health benefits, gender, and age. This diversification, in conjunction with the increased distribution channels, continues to fuel the consumer demand. There is a growing demand for immunity drinks, which can be attributed to consumers’ desire for products that build up their defenses. Energy drink is the largest segment in terms of revenue. However, RTD tea, coffee, and enhanced water are the fastest growing sub-segments among the other functional beverages. 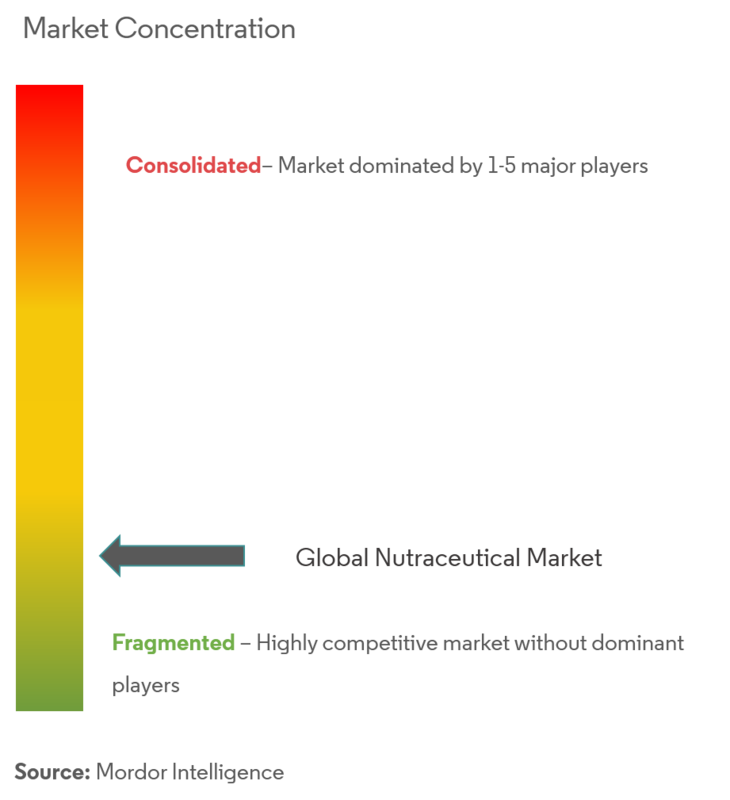 Most active companies in the nutraceutical market are PepsiCo, Kellogg’s, Herbalife, Suntory, Nestle, and Amway. PepsiCo and Coca-Cola are two global giants in the functional beverage market. Even though Pepsi and Coke are dominating the current market scene, Monster Beverage has shown a sudden increase in its share in the market. 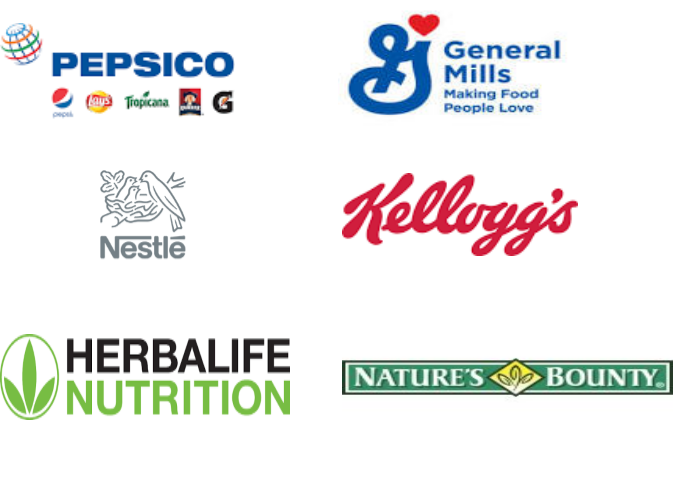 Quest Nutrition, Kellogg’s, Nature’s Bounty Inc., Post Holdings Inc., and Clif Bar are the major manufacturers in the protein bar industry.